Former Representative Michele Bachmann (R-MN) said that Donald Trump is the most “biblical” president America will ever have. 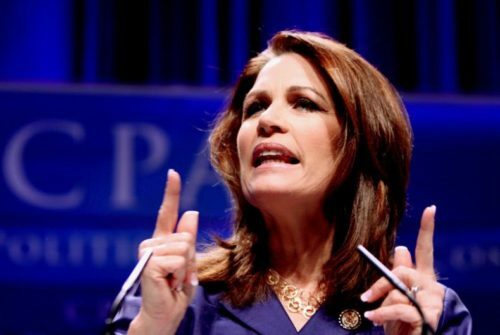 Bachmann appeared on Jan Markell’s conservative radio show Understanding the Times this past weekend, where she discussed the “Deep State” – a far-right conspiracy theory that says that career government employees are working to undermine Trump – and “cultural and economic Marxism” – an anti-semitic trope that says that Jews are trying to change Western culture to make people more readily accept socialism. At last year’s Values Voter Summit, Bachmann said that Trump was God’s answer to Christians’ prayers.